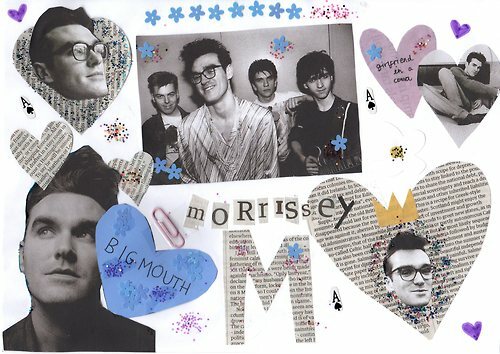 FANS of The Smiths, and in particular Morrissey, are a weirdly devoted bunch. Their fervour isn’t matched by the output they receive from the Grand Miserablist. The Smiths, of course, deserve their place in the annals of popular music simply for popularising an outcast spirit of disenfranchisement. They turned it into an artform and teenagers the world over fell for it, hook, line and sinker. Their records, objectively, weren’t great for the most part… but like The Clash or The Doors, it is what The Smiths stood for which made them so loved. Since going solo, Our Moz has released a few good solo LPs – his debut and Vauxhall & I being high watermarks – but largely, his work has been the thing he probably fears the most – they’re drab. As such, there’s been a general shunning of Morrissey’s musical output and, ever the sulk, he’s not going to take it without throwing out a pointed statement or ten. See, he’s forgetting about music and turning his attentions to being a novelist. Might be a good thing. If his music galls, you can’t knock his way with words. And of course, Mozza’s autobiography sent everyone crazy last year, selling by the bucketload. Talking to fansite True To You that he was midway through his first work of fiction and added that this move was a result of his frustrations with the music industry and the lack of support given to his recent material. The adoration of Beyonce Knowles obviously passed Morrissey by.